The Thorns and Spirit played to a thrilling, 3-3 draw Sunday night in front of a sold out crowd at Providence Park. Crystal Dunn scored two goals including the final equalizer in the 80th minute which came mere moments after the Thorns had flipped a 2-0 halftime deficit into a 3-2 lead. 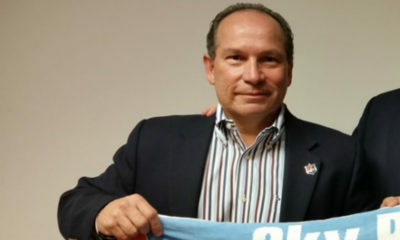 Dunn also added an assist to Francisca Ordega. Alex Morgan and Tobin Heath both scored their first NWSL goals of the season and Jodie Taylor her second to account for the Thorns scoring. The dropped points means the Spirit are no longer in control of their pursuit of second place and a home semifinal. They now need to defeat the Reign at home next weekend and hope the Red Stars lose or draw at home to the Dash. The scoring action got started almost immediately on a Spirit counterattack in the sixth minute. Dunn found Ordega and put her through alone against Thorns keeper Nadine Angerer. The Nigerian bided her time and calmly poked the ball through Angerer’s legs and in for her third goal of the season and first since before the World Cup. Despite the early goal the Spirit were on the back foot for much of the half. The Thorns created much possession but were unable to do much with it in terms of quality chances. The Spirit made them pay in first half stoppage time when Christine Nairn’s corner kick found Dunn’s head in traffic and she flicked it by Angerer to make it 2-0 at halftime. 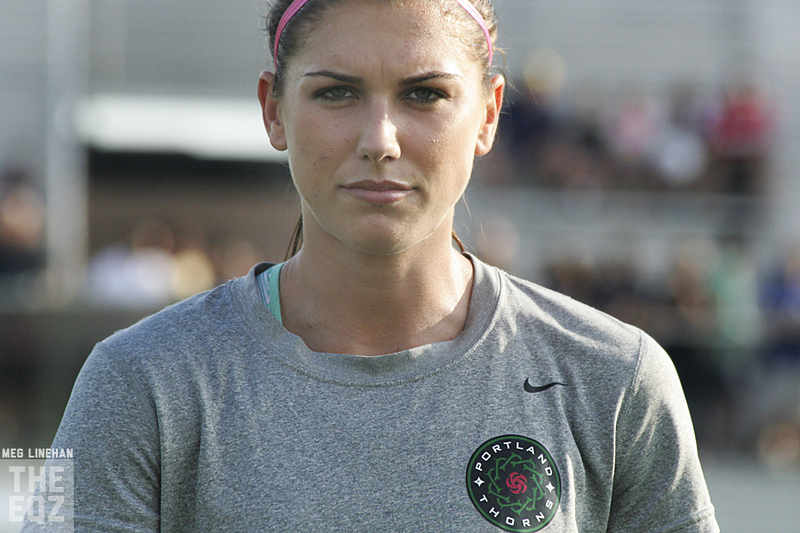 It did not take long for the Thorns to respond out of the locker room. 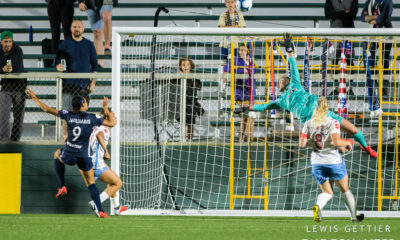 Lianne Sanderson found Morgan with a chipped ball over the top and Morgan slithered away from Megan Oyster and calmly and lightly lifted the ball up over keeper Ashlyn Harris for the goal. Things really began to heat up in the final 20 minutes. Heath took a ball into the box on a pass from Allie Long and beat center back Estelle Johnson who bodied Heath off the ball for a foul and penalty kick. Heath stepped up to it and hammered it to Harris’s right as the keeper dove left at the stroke of 71 minutes. The Thorns went ahead in the 80th minute with a gorgeous buildup that ended with Taylor slipping around Johnson inside the six to make the finish. Heath got the play started by playing wide right to an overlapping Rachel Van Hollebeke whose far post cross was headed back to the center of the goal mouth by Morgan. 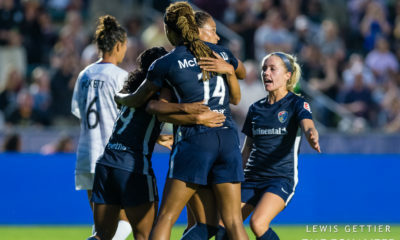 The FS1 replays were barely off the screen when Dunn wound up with the ball in her attacking penalty area, quickly dribbled around several players and beat Angerer for her second goal of the night and league leading 15th of the season. 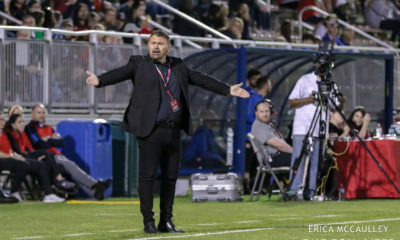 The Thorns had several chances to walk away winners in stoppage time but several shots either missed the target or were safely corralled by Harris. The Spirit (8-5-6, 30 pts) now sit third and can finish anywhere between second and fourth depending on results next week. The Thorns (6-8-5, 23 pts) are sixth and finish up a disappointing season Friday night at Western New York. NOTE: Angerer and Van Hollebeke were both honored prior to the match on their final home appearances as Thorns. Both are retiring from soccer at the end of the season.